I’ve been a fan of hungry games for a while now and this is by far the coolest one yet but it has yet to reach hungry shark’s level of development. The concept is cool but the area right now is pretty small and the movement for the dragons is twitchy and jagged feeling, not smooth like the shark’s swimming. the controls definitely needs an upgrade. I’d also like to see more prey, the areas right now feel squished too close together and the themes just seem to go back and forth. Maybe a larger human village? and also diving underwater feels very twitchy as well. overall a fun game tho! A hungry shark port with expanded Dragon lineup. However the progression is broken. When you progress from one dragon to another, the stats of the new dragon became worse. The coins required for the progression scales too greatly. For free to play gamers please beware of the data trap. There is a lot of video viewing for this game. The map is small and crammed. It is difficult to play properly without having movement restricted when you reach M size dragon. Progression from M size dragon 1 to 2 scares from 60k coins to 260k coins where you get 1k coins per run. 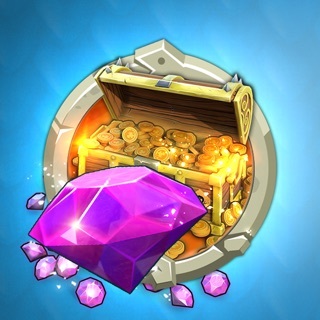 So the obvious way to progress is to buy gems. The traps in the game, where you need to avoid like mine field and poison, scales when you becomes bigger so it is tougher to play when you are at M size second dragon. It will be fun if you like challenges and lots of mindless grind or love to spend a lot of money to play a game. If burning money to play it quickly to end game is your hobby then this game is definitely for you!